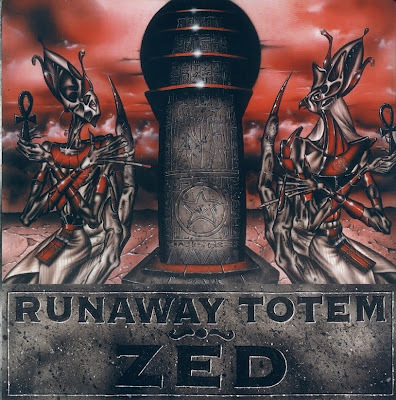 RUNAWAY TOTEM is surely one of the most incredible band that you can find in Italy. They use their rich instrumentation (keyboards, vocals, backing vocals, guitars) to create ethereal, romantic climates, with the deep singing, the grandiose backing vocals. They use too some nearly MAGMA-like passages, a vocal paroxysm evoking AREA, energetic KING CRIMSON rhytms with a AMON DULL II touch and even GENTLE GIANT's echoes. Their third album titled "Andromeda" is their masterpiece... surely better recorded than the first one, "Trimegisto", and more diversified than the previous one "Zed". It's very recommended to the symphonic-epic rock lovers as well as the classic music's extimators.